I got two new bags last week that make me so happy! I have received many compliments on both so far! I figured if I bought a new bag I would be forced to clean out my old bag. It worked! Plus two weeks ago I cleaned my closet for a yard sale and got rid of about 8 purses, 4 pair of shoes and some other forgotten about stuff. I have been lusting after Lux De Ville's super rad bags for awhile. I just never got to get my hands on the perfect color combo until this beauty came into play. I love it! 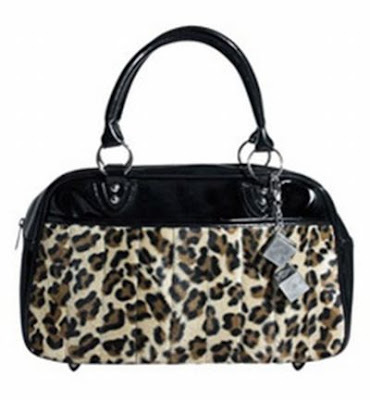 It holds a lot, has feet protectors at the bottom and matches all my leopard gear! 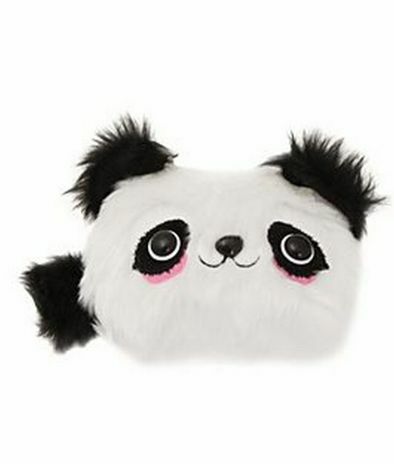 My boyfriend knows I am a sucker for pandas so he bought me this lil guy to organize my 'on the road' cosmetics. My last makeup pouch recently was compared to a Harry Potter contraption after it was dumped on the ground in search of something. I knew it was time to clean it out! I will make a effort to clean my purse out every week! Yes I will! The first bag is so cool- love it!